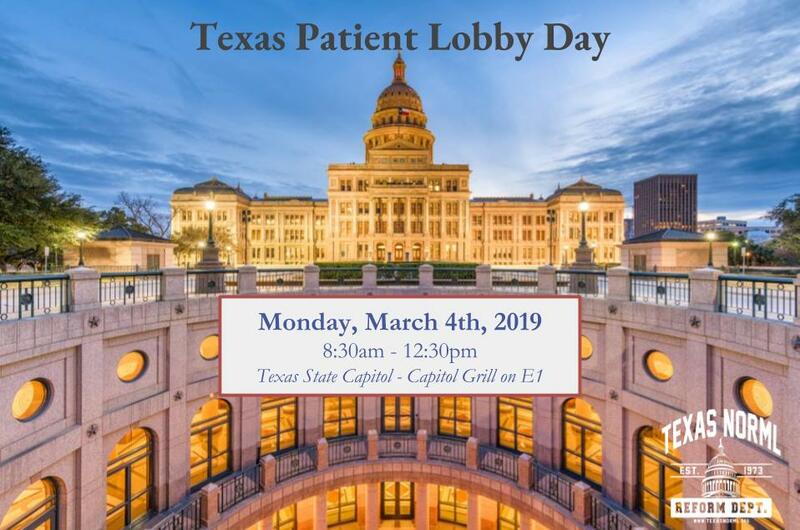 We will be hosting our Patient Lobby Day. We will meet in the in the Capitol Grill located on the floor E1 at 8:30am. All materials will be provided and we’ll start our day with brief training. Then we will break up into lobby teams and collectively visit with legislative offices. Please be sure to dress professionally. This is to ensure we have enough resources for all attendees. Complimentary coffee service thanks to GRAV! 11am – Start visiting offices! 2pm – Register for HB 63! Exit is onto San Jacinto Blvd. Parking is free for the first 2 hours and $1.00 for each half hour thereafter. Follow event page for live updates!